Asparagus was on sale at HEB for 98 cents a pound and I just couldn’t resist. 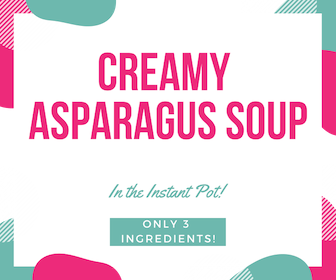 Cream cheese is great to keep on hand to make any instant pot dish thick and creamy with no clumping! If you try it, let me know what you think in the comments!